Manager games have managed to captivate loads of different sports fans. In Europe that mainly happens with soccer apps, and in the USA, exactly the same with their national sport, football or American football. 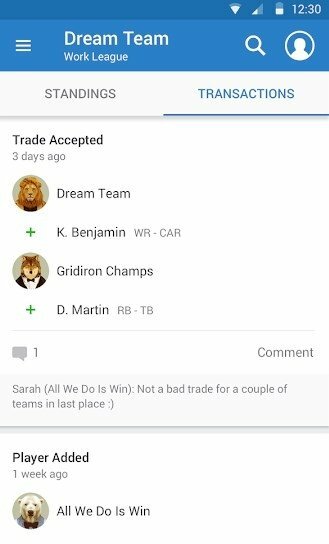 The official game is called NFL Fantasy Football, with which we can build our team with the competition's stars and take part in online tournaments against other users. 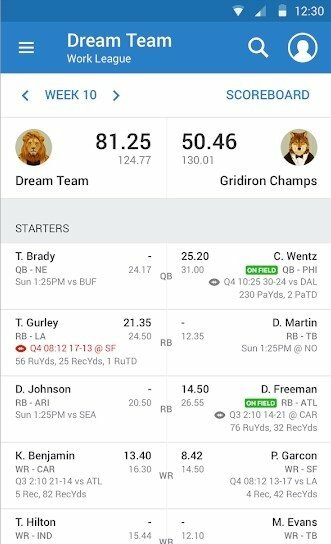 This Fantasy Football based on the NFL offers us a game that can last the entire season. From the very first game of the regular season for which we'll already have built our squad by drafting players, to the conference final play-offs, and finally the renowned Super Bowl. During each matchday, our players will receive ratings according to their performance on the pitch their real teams. And obviously, the better they play, the more points we'll build up to try to reach the top of the classification. And if any of them turn out to be a flop, we can always go to the market to replace him with another player. 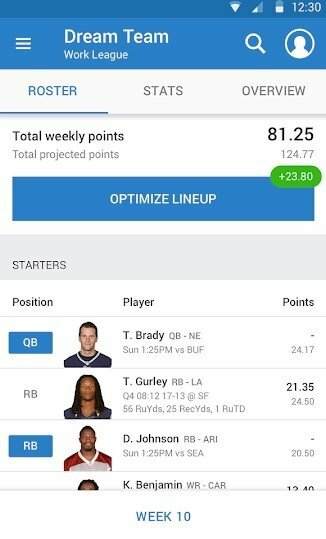 Don't spend all your money on Tom Brady: try to build a balanced team. Go to the draft to build a team with full guarantees. Join leagues and create your own ones in a matter of minutes to play with your friends. 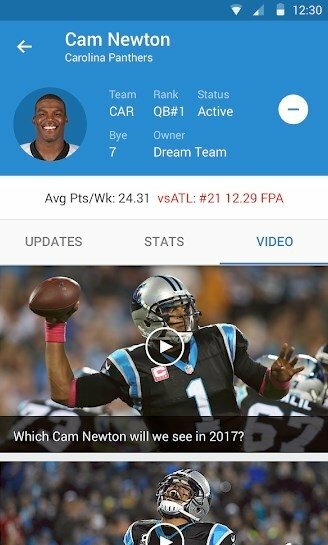 Follow your players and teams and receive their scores in real time. Change your line-up in real time. Transfer your players if necessary and go to the market to sign new players. Check the information provided by the NFL about player stats and injury lists. Read the analysis of the best sports pundits. Manage several teams at the same time. Receive push notifications so you don't miss out on anything that happens. Video replays to watch the best highlights of the NFL. 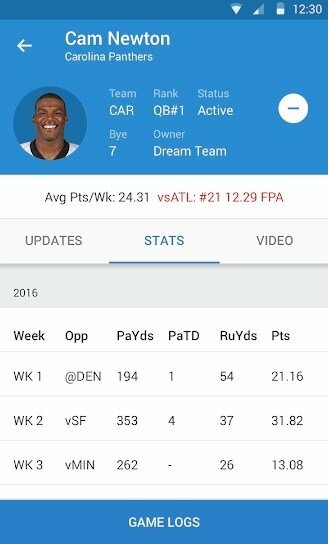 Download right now the APK of the best NFL manager game have even more fun with your favorite sport.